LOVE Rusty Cuts! I've been putting off buying a dress from her but seeing on you now totally makes me want it! This is a really cute dress! Great find! Love etsy! This dress is a-mazing. It looks super cute on you. Omg that dress is awesome! I can imagine a lot of Star Wars fans going crazy about it hahah. What a fabulous dress, it,s truly so adorable and looks great on you! Oh wow, this dress is adorable! You look great in it, what a fun idea. i need this dress now! I may be buying this the second i get home. i saw this in my blog feed and FREAKED out. 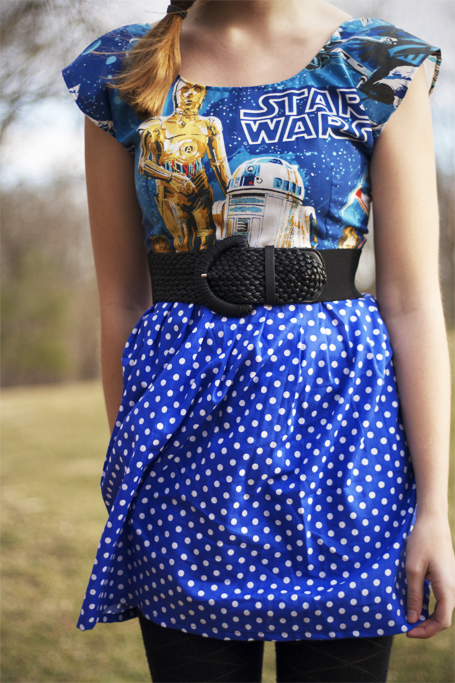 this is the best dress ever. i cannot explain to you how happy i am you posted this. 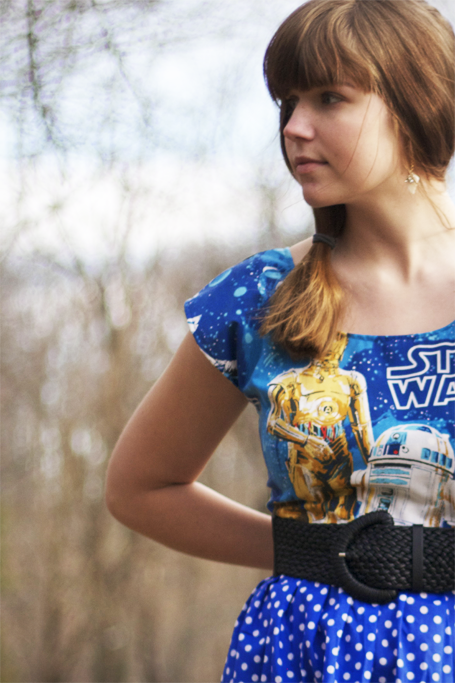 thanks a million for being awesome and super stylish and loving star wars. That dress is so funny ! That dress is so awesome! Wow! I love it. It's unique and adorable and looks wonderful on you. My boyfriend would be in love with this dress. It looks wonderful on you! oh my GOD what an adorable dress!! it is so different and so absolutely flattering on you! Memoirs of a Geisha is one of my all time favorite movies. Seriously, just sooo good.